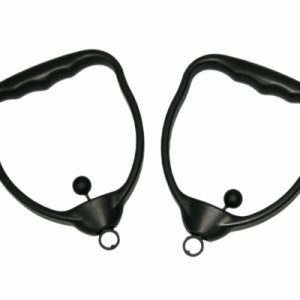 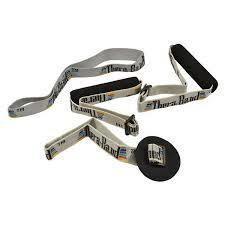 The Thera-Band® Exercise Band Accessory Kit contains one pair of handles for your Thera-Band® Resistance Bands, one door anchor, and one Assist attachment device. 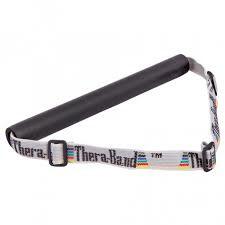 All devices are flexible yet sturdy for mobility in your exercise routines. 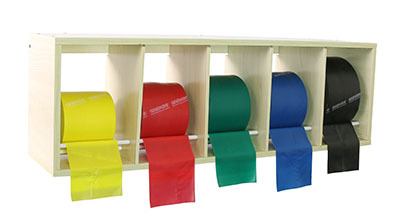 It comes with its own set of customized instructions. 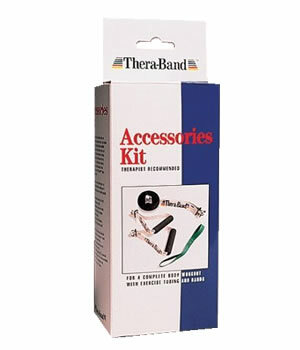 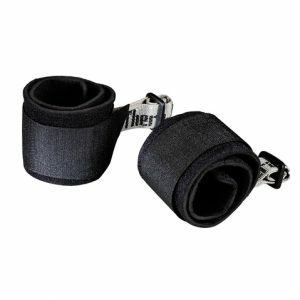 The Thera-Band® Exercise Band Accessory Kit has the usual Thera-Band® warranty: manufacturer’s discretion.